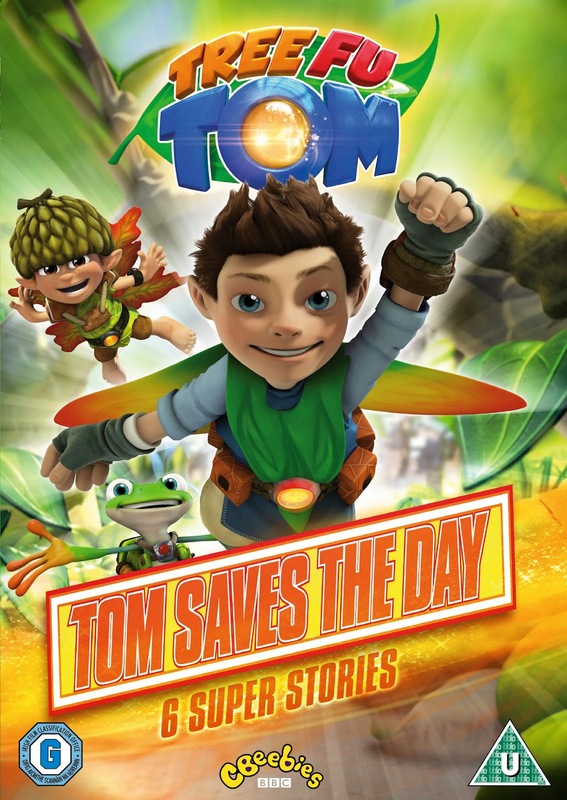 I've got another fab giveaway for you today, this time the prize is the Tree Fu Tom DVD Tom Saves The Day. Join Tom and his friends in Treetopolis for Six Magical Action-Packed Adventures! Prepare for more action-packed adventures in Treetopolis as superhero Tom returns this spring with the launch of a new DVD collection from Tree Fu Tom, the hit CBeebies CGI animated series featuring the vocal talents of Mark Bonnar and Sophie Aldred. This thrilling new collection, entitled Tree Fu Tom – Tom Saves The Day is released on Monday 6th April. Tom may look like a normal boy but when he puts on his magic belt and performs a series of magical moves (known as Tree Fu) he transforms into a tiny but mighty, magical superhero. Tom, Twigs and woodland friends have lots of amazing adventures around Treetopolis but when trouble strikes it’s up to him to save the day! With viewers help Tom can make Big World Magic and tackle anything from warbling Warble Weeds to stopping those naughty Mushas make mischief! Tree Fu Go! The DVD features six action-packed episodes:- Ranger Tom: Super Helper, Tom and the Warble Weeds, Super Squirmtum, Ranger Tom: Fun Guy, The Golden Spore, Twigs’ Tall Tale. To enter this giveaway all you need to do is fill in the Rafflecopter form below, giveaway open to UK residents only. My nephew he would love this. Caleb - he loves Tree Fu Tom! My youngest son loves Tom!! I really want to win this for my two young nieces who've moved in with my mum because their parents can't look after them any longer. They love Tree Fu Tom, and my mum has a garden where lots of natural wildlife visits and organic food grows - that's a huge change for them, so I think being able to watch this DVD with my mum one morning then spend the rest of the day in the garden will be a great way to set their little imaginations wild so they feel like the garden is truly theirs. I would give it to my children, they would both love it.